Image: Small angle x-ray scattering, pictured above, will be used to determine the nanoscale structure of high-refractive index nanocomposites. The Woehl Research Group at the University of Maryland (UMD) has recently received funding to collaborate with Pixelligent Technologies LLC – a Baltimore based company that creates high-refractive index materials for displays, solid-state lighting, and optical components. The grant – $91,500 for one year with the potential for a second year of funding – was awarded by the Maryland Industrial Partnership Program (MIPS), which is located on the UMD College Park campus. Pixelligent Technologies is the leading manufacturer of high refractive index zirconia dispersions. Pixelligent’s 10 nm capped zirconium dioxide nanocrystals can easily be incorporated into solvents, polymers/monomers, and manufacturing processes most commonly used in electronics manufacturing. The resulting nanocrystal dispersions display nearly perfect optical transparency and enable the highest light extraction for applications in OLED and HD Display, OLED and LED lighting, and optical coatings and films. “The team at Pixelligent is very excited to be collaborating with UMD once again. 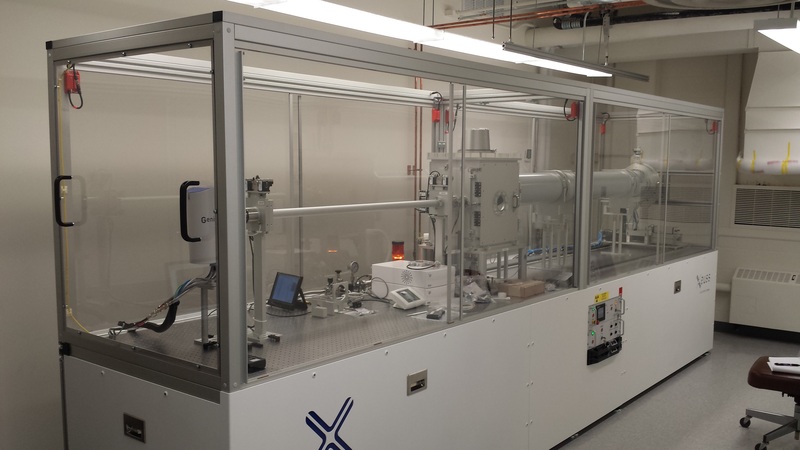 With the capabilities and nanoscale characterization expertise Dr. Woehl’s group brings to the table, we anticipate being able to translate our shared insights into high-value customer applications,” said Gregory Cooper, Ph.D., CTO & Founder of Pixelligent, a UMD Alumnus. Pixelligent has deep ties to the University of Maryland. Key early employees Serpil Gonen Williams (Ph.D. Chem 2002) and Gene Chen (Ph.D. ECE 2001) were UMD graduates, and Pixelligent was a member of the Technology Advancement Program until 2011 before moving to their new facility in Baltimore. “We look forward to collaborating with UMD to improve our understanding of the fundamental science behind the creation of stable dispersions at high solids loading” said Brian Wehrenberg, Ph.D., Technical Project Manager at Pixelligent, who will lead the collaboration with Professor Woehl. Woehl’s group will use their expertise in colloidal science, nanomaterials, and characterization to examine the stability and structure of these nanomaterials in dispersion as well as in the final solid nanocomposite. The investigation could lead to higher efficiency, lower cost, and more energy efficient display, solid-state lighting, and optical products.